Last edited by maddkat; 04-03-2016 at 04:43 AM. 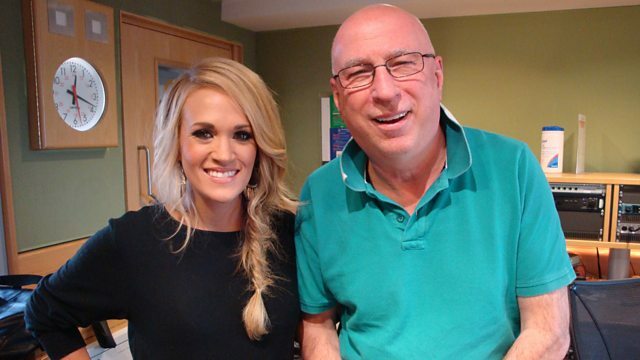 Carrie will be featured on an upcoming episode of BBC Radio 2's Tracks of My Years. The episode will air on March 4. Just thought I'd share. Hope this is the right thread to post in. The Grammy award winner talks you through tunes by Queen, Guns N Roses and Dolly Parton. txacar, rainbow1, Smokyiiis and 6 others like this. Did anyone catch the Bobby Bones interview? ^ Carrie was on BB show? Today? Had no clue. Looks like it might have been a week or two ago. Can't remember the date. Last week but I don't know exactly when, I just saw countryfan2006 post this in the twitter thread. So glad you enjoyed it! When @mrBobbyBones & @carrieunderwood get together the result is always super entertaining! countryfan2006 and rainbow1 like this. ^ never saw or heard anything about it. ^ Yes Carrie was on Bobby Bones for some Joy thing this week but I don't know much more about it. I saw a tweet that Carrie is on Bobby Bones next week for Pimpin Joy Week. It didn't say which day though. bluetb4, rainbow1 and opry051008 like this. I think I read that the artists are doing live performances on his radio show. If Carrie is live in studio as they have said,means she'll definitely be flying back from Europe after her Norway show. Well, I saw the tweet again and I think it said "in studio", which doesn't necessarily mean live. I suppose she could have recorded something when she was in Nashville this last week or she could record it when she goes back home before jetting off to Europe. Here's some more details about Carrie's appearance on BBC Radio 2's Ken Bruce Presents Tracks of My Years. Carrie's first episode will air on March 7 from 9:30am - 12pm (UK time). Country singer and former American Idol winner Carrie Underwood joins Ken to share her Tracks of My Years this week, beginning with tracks by Simon & Garfunkel and U2. Country music singer Carrie Underwood's Tracks of My Years continue, this time featuring hits by Queen and Willie Nelson. Dolly Parton and Guns N' Roses feature as US folk singer Carrie Underwood continue her Tracks of My Years selection. American Idol winner Carrie Underwood selects her penultimate Tracks of My Years, this time choosing hits by Wham and Alan Jackson. US country singer Carrie Underwood presents her final two Tracks of My Years, taking the opportunity to celebrate hits by Nirvana and the Carpenters. Here's some more details about Carrie's appearance on BBC Radio 2's Ken Bruce Presents Tracks of My Years. Carrie's first episode will air on March 7 from 9:30am - 12pm (UK time). Details below. I like the artists she selected!! The Carpenter's.....love, love, love! !